Find information about propane, including production and distribution, research and development, and related links. 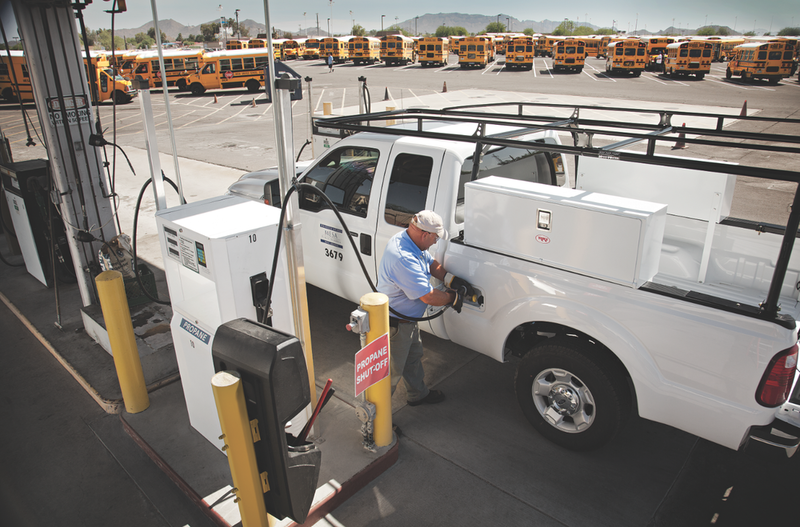 Explore the benefits and considerations of using propane as a vehicle fuel. Locate propane fueling stations in your area and learn about propane fueling infrastructure. Learn about propane vehicles, and find information about vehicle availability, conversions, emissions, maintenance, and safety. Find laws and incentives related to propane in your area. Find propane fuel prices and trends.